We’d like to take this opportunity to wish all our lovely customers a Happy Easter and we look forward to welcoming you back to the Pottery soon. 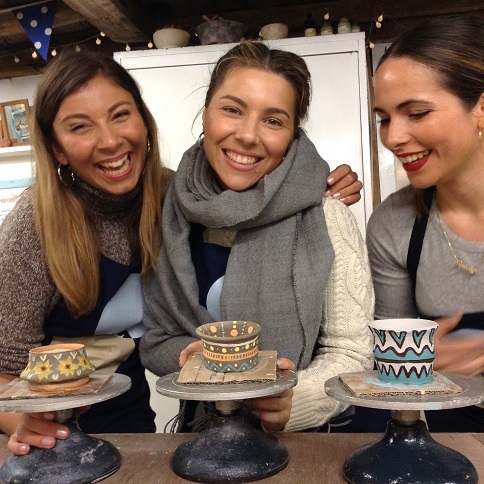 What better way to spend time with friends than chilling and making pottery in Herefordshire? These London ladies took a weekend break in the countryside earlier this year and spent a creative and relaxing Friday afternoon with us. They conquered the wheel then spent a couple of hours chatting and carefully decorating their freshly thrown masterpieces…And don’t they look amazing!? And the pots look pretty cool too! ;) Well done you three! 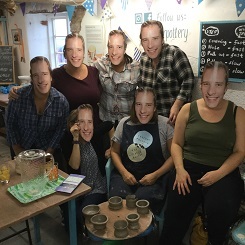 Hen party season appears to start earlier and earlier here at Eastnor Pottery & The Flying Potter. 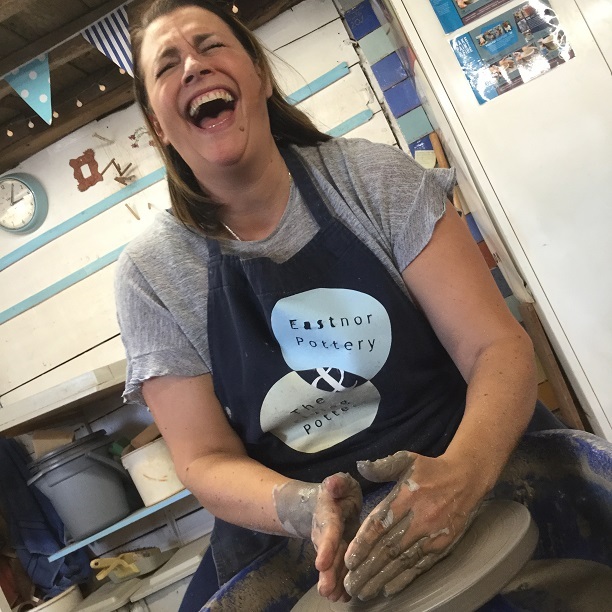 No sooner had the tinsel been stowed, Helen and her band of merry hens descended on the studio to make ceramic keepsakes and pottery artyfacts! We love this boomerang of one of the party goers. She was immensely proud of her creation – and quite rightly so – we think its lovely! Other members of the party made owls, penguins and pencil pots. Check out this little video of their creations on Instagram. 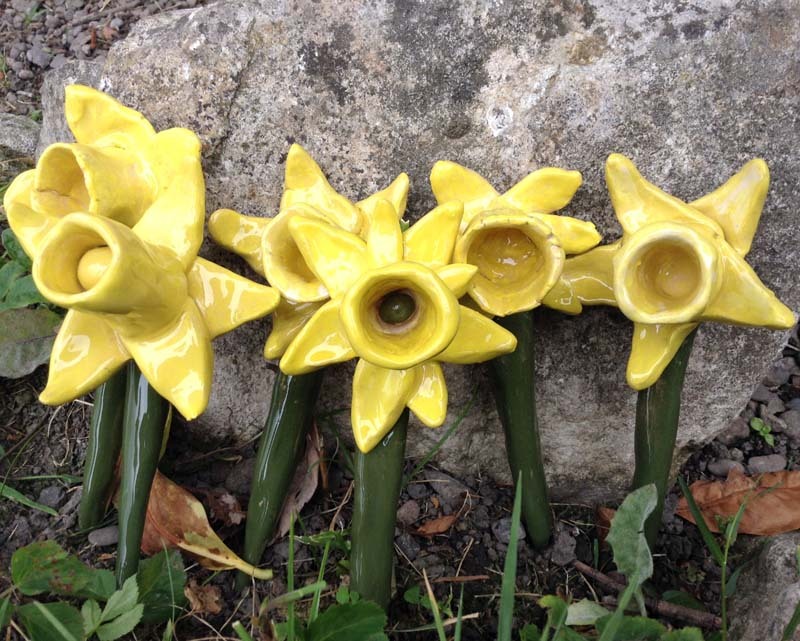 If you fancy making clay models to commemorate your hen do, then please take a look at our page dedicated to pottery hen party activities. Projects include the potter’s wheel and prices start at just £20. When we tell people we do pottery hen parties they usually respond with something like “ Ooo I bet they make some interesting shapes! 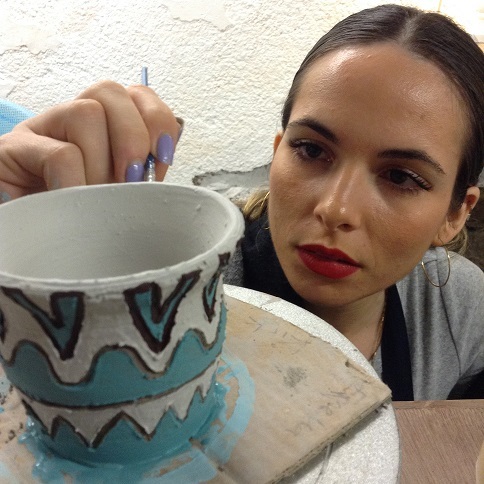 !” On the contrary, our group sessions are usually civilized affairs, filled with creative arty types enjoying the therapeutic benefits of modeling and throwing clay on the potter’s wheel. 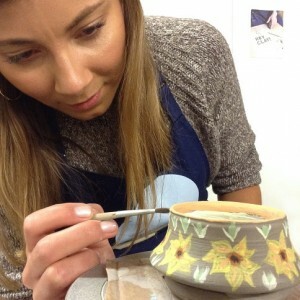 in fact, if you are doing pottery as your hen party activity then you are going to be a certain type of girl! That was until we met George and her party of merry gals…. There were only seven of them, but what they lacked in numbers they more than compensated with frivolity and laughter. We had so much fun! They ladies appeared in Chesney Hawkes masks (a personal hero of bride to be George) and took to the wheels with enthusiasm, reveling in the comedic possibilities of centering the clay! The session concluded with the ladies treating us with a rousing rendition of Chesney Hawkes’ I am the one and only’ – a short clip can be found here. Everybody heralded the afternoon a resounding success. 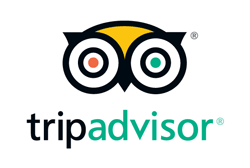 If you are planning your wedding in 2019 and looking for a thoroughly creative and unique group activity, then why not book a session for your hen party. 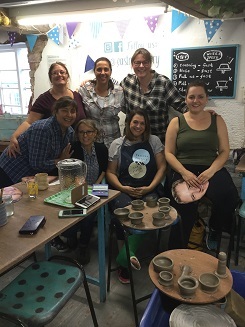 Take a look at our pottery hen party page and drop us a line admin@eastnorpottery.co.uk or tel 01531 633886 to check availability. New member of the team! 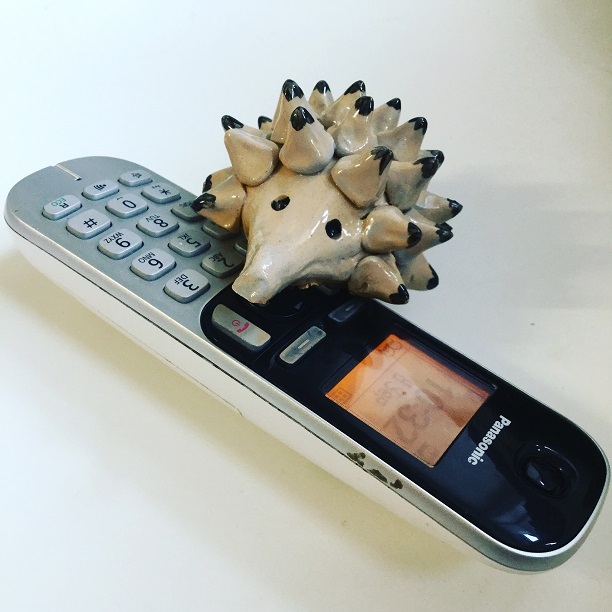 This hand crafted, pottery hedgehog was created by a visitor on a team building pottery workshop held at the end of August. It was made using the simple pinch-pot technique where two little ‘pinched’ bowls are joined together to create a hollow sphere, which can be shaped into almost anything – fish, cat or even a hedgehog! http://eastnorpottery.co.uk/wp-content/uploads/2019/03/eastnor_pottery_header_2019-3.png 0 0 admin http://eastnorpottery.co.uk/wp-content/uploads/2019/03/eastnor_pottery_header_2019-3.png admin2018-09-21 15:03:442019-03-17 15:04:45New member of the team!